The Canola Performance Trials website provides third-party variety comparison data from small and large plots, with useful tools to customize searches, compare varieties head to head and look beyond yield results. Exploring at canolaperformancetrials.ca, you will find “Search all varieties” with varying filter options available through selecting/deselecting and drop-down menus. Growers are often very independent people. They run their own businesses and make many important decisions along the way using the best resources they have. Their success also depends on the outcome of a combination of the factors they can control (management and marketing strategies, for examples) and the factors they can’t control (weather, prices, topography, daylight hours). So when growers have to make a big decision, like selecting a variety to grow, they want reliable data available to them. One of these reliable sources can be the Canola Performance Trials (CPTs). A recent survey on CPTs found that 90 per cent of farmers agreed that performance data is very important (52 per cent) or somewhat important (38 per cent) in making their variety purchase decision. As well, 90 per cent of respondents stated that having data come from an independent third party is very (59 per cent) or somewhat (31 per cent) important. While many survey respondents also stated that past experience is one of the top contributors to their decision making, farmers can test only a limited number of varieties on their own farms. By choosing “Compare varieties”, you can compare all data points for any two varieties or compare two varieties grown at the same site in the same growing season. Select or deselect options and use drop-down menus to customize the search. So it’s no surprise that the concept for independent trials like the CPTs has always been heavily supported by the grower groups. Prior to 2003, canola variety testing was coordinated by provincial governments and put into the provincial seed guides. However budget cutbacks from the government pushed industry to fill the gap – and it did with a cost-recovery model based on Western Canada Canola/Rapeseed Recommending Committee (WCC/RRC) public co-op trials. Grower-funded trials started with the Prairie Canola Variety Trials (PVCTs), which morphed into the CPTs after a gap year in 2010. 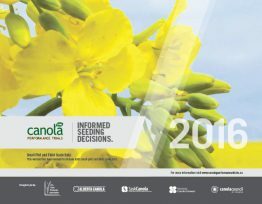 They provided small-plot canola variety data to the Manitoba, Saskatchewan and Alberta provincial seed guides for distribution to growers and industry (the small-plot data has also been featured in an annual insert in the Western Producer for the past few years). Since then, the program has continually evolved, adding a website with an interactive database, producing online and printed annual CPT booklet summaries, among other improvements. 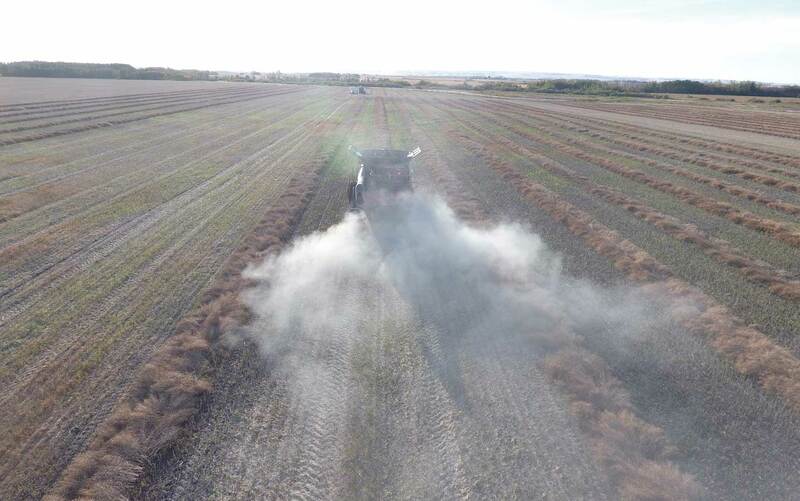 The three Western Canadian canola grower groups also put a significant portion of their dollars toward agronomic research, which shows the importance growers put on scientific experimentation, quality data and constant improvement. Just as growers continue to find new solutions to production challenges and incorporate more technologies into their operations, the CPT program aims to continually provide high-quality data to growers while constantly working on improvements to the user’s experience. For instance, last year a head-to-head comparison tool was added to the online database which can either compare all data points for any two varieties or compare two varieties grown at the same site in the same growing season. In 2017, the CPT program is looking into doing more data analysis and presenting it to growers in a format that is more useful to them. The program is also investigating both the addition of fertility data to the available small-plot site information and the inclusion of straight-cut trials for some varieties. Guelly was really interested in seeing the fertility packages that sites used to reach specific yield targets. “Farmers often wonder what their neighbour or other people across Western Canada are doing to produce the yields they are reporting. As well as curiosity and for the farmers with lots of questions, this info would be especially good for the new farmers out there,” he says. 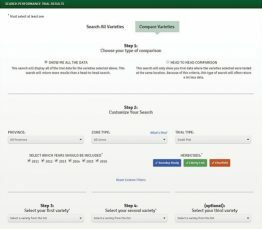 The website (canolaperformancetrials.ca) can be an excellent tool, but it may take a bit of playing around to figure which options are most beneficial to you. In addition to the searchable online database, which provides graphs, a comprehensive data table and a responsive map (showing all the site locations used in the chosen query), the CPT website also provides the small-plot and field-scale protocols used and offers PDF versions of CPT booklets from 2011 to 2016. Taryn Dickson is resource manager for the Canola Council of Canada’s Crop Production and Innovation team.